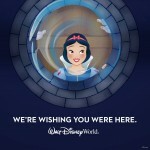 Are you wishing you were at Walt Disney World? I know I am. I always am!! If you are traveling from February – June 2016, Disney just sent you a late Christmas gift! There are 3 new offers. 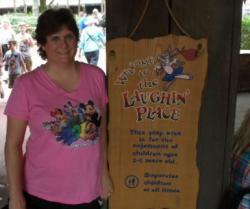 Spending quality family time together at Walt Disney World Resort is magical and memories last forever! Experience the excitement with a package that includes 5-day theme park tickets and a 4-night stay in standard rooms at Disney’s All-Star Music Resort for as low as $1,714 for a family of 4. Other resorts are offered with this discount. Next discount to consider: Kids Size Walt Disney Getaway. 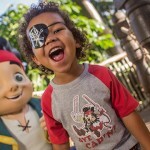 Watch little one’s eyes light up with wonder as they meet their favorite Disney Characters and delight in attractions at all 4 parks. 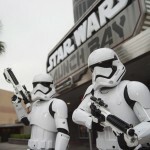 Plus, they can visit Disney’s Hollywood Studios® to discover new Star Wars experiences. Experience a 3-night, 2-day stay in a standard room at Disney’s All-Star Music Resort with theme park tickets for a family of 3 for just $908. Other resorts are offered with this discount. This is just an example of pricing. Last offer is: A Room Discount. Save up to 25%* on rooms at select Walt Disney World® Resort hotels for stays most nights April 14-June 11, 2016 when they book by March 31, 2016. Plus you can receive 1 more ticket day FREE when they upgrade to a room and ticket package with a minimum 4-day Magic Your Way® Ticket. What a deal!! Full list of offer excludes: campsites, 3-bedroom villas, Disney’s Port Orleans Resort – French Quarter, Bay Lake Tower at Disney’s Contemporary Resort, The Villas at Disney’s Grand Floridian Resort & Spa, Bungalows at Disney’s Polynesian Villas & Bungalows and Disney’s Art of Animation Resort – The Little Mermaid Standard Rooms. This Spring, experience the new Star Wars adventure at Disney’s Hollywood Studios, the Garden Series concerts at Epcot, the new nighttime experience at Animal Kingdom and much more Spring time fun!